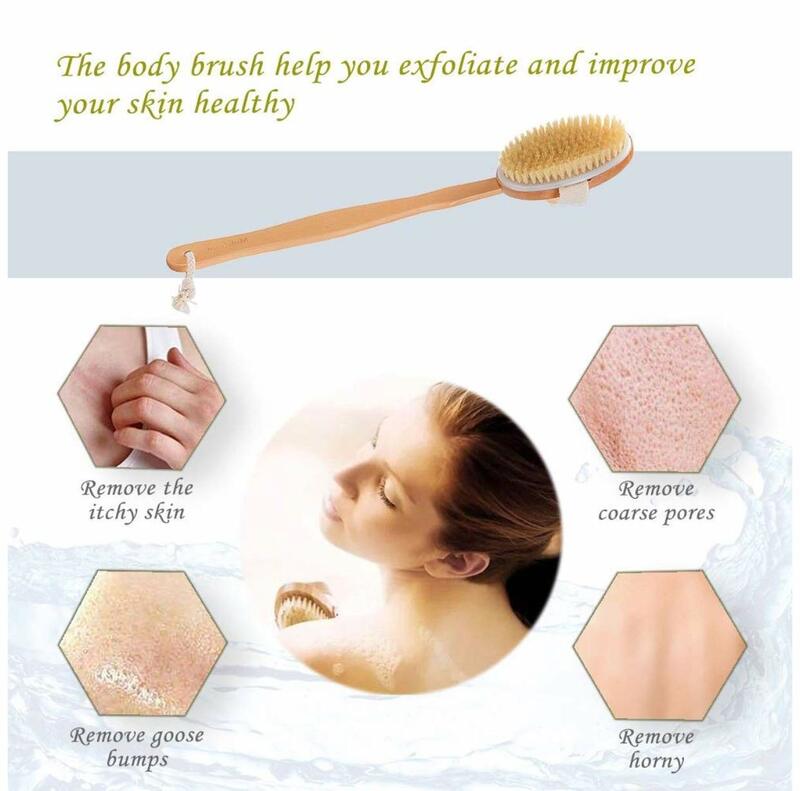 Our dry bath brush for body brushing is designed for your skin health. 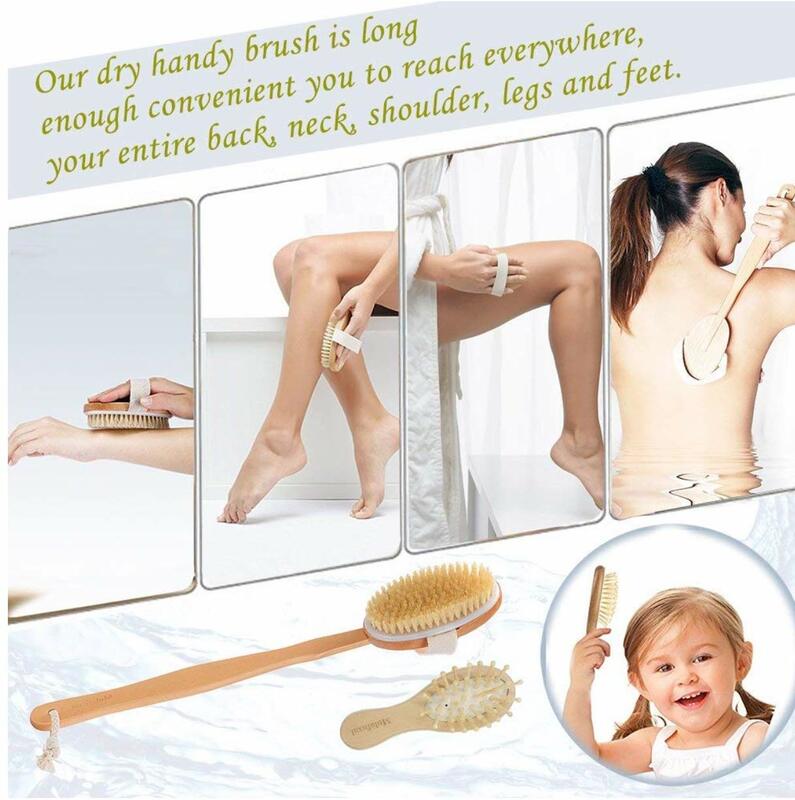 The dry brush have multi-function. 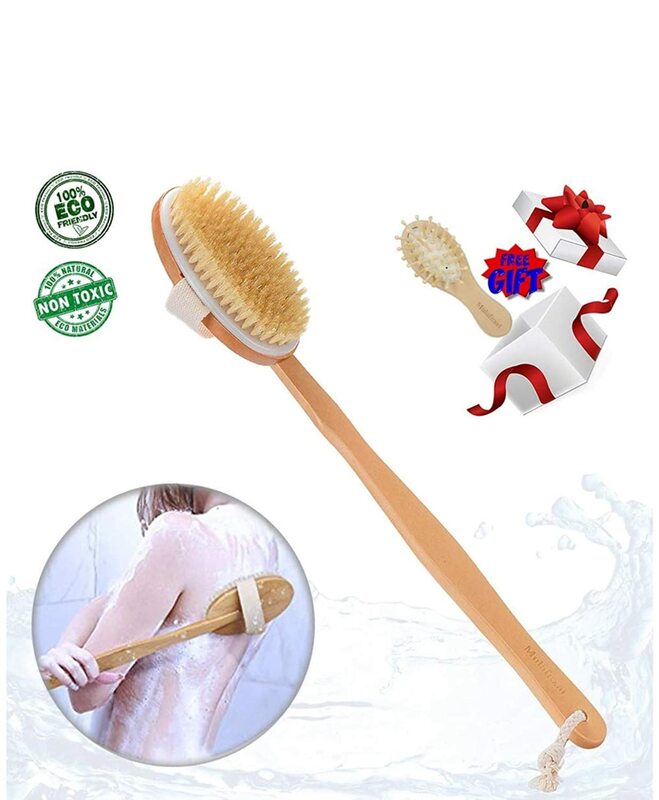 100% natural bristle and solid wood made body brush, plus the free gift-natural wood hair comb brushes, all is great for elder, child friendly, give them comfortable shower environment and bath hair brushing experience on home or traveling. 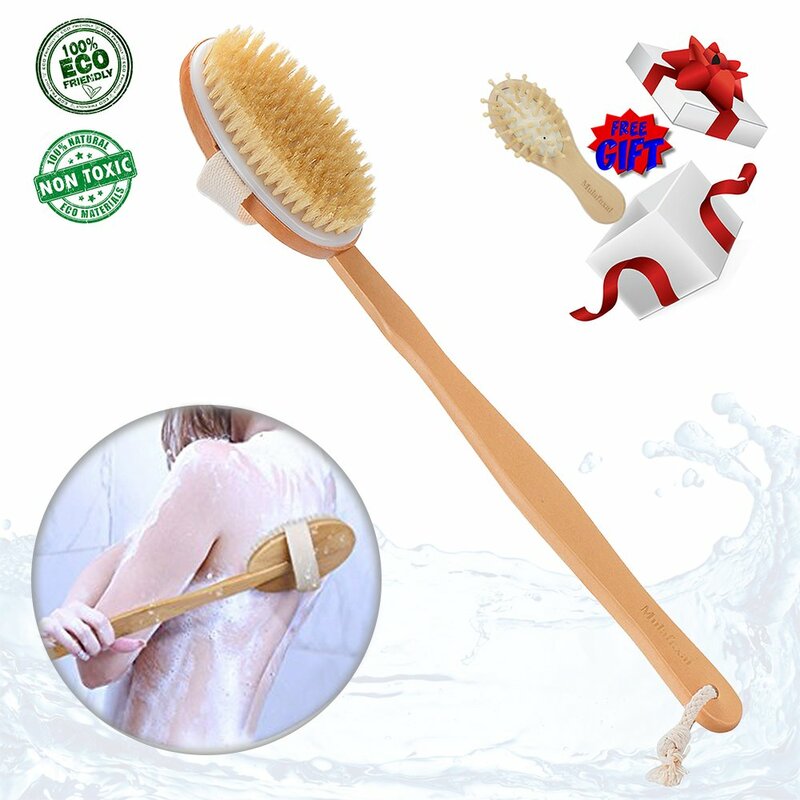 We sincerely hope that you could own this dry bath body brush and improve you and your families' quality of life! 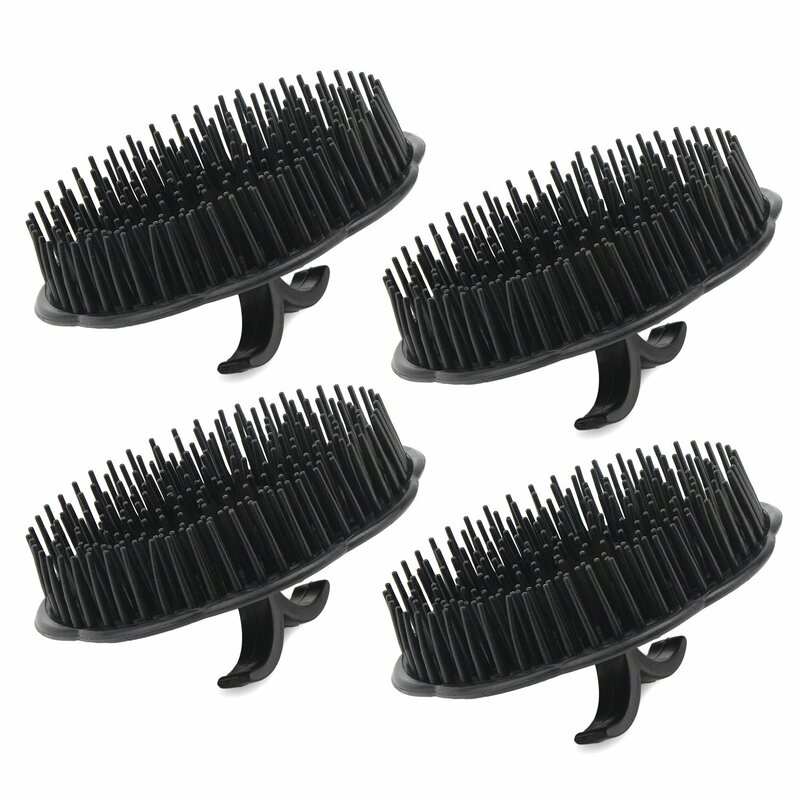 ♈Are you crazy of that dry brush head always falls out? 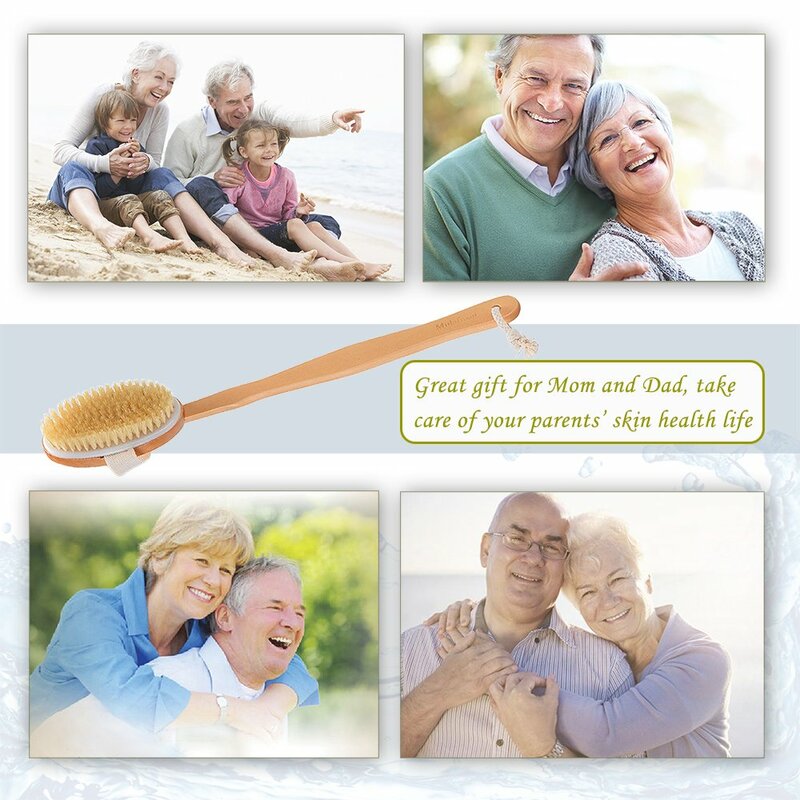 ♈Have you found other natural dry bristle brushes scratch to your tender and sensitive skin? 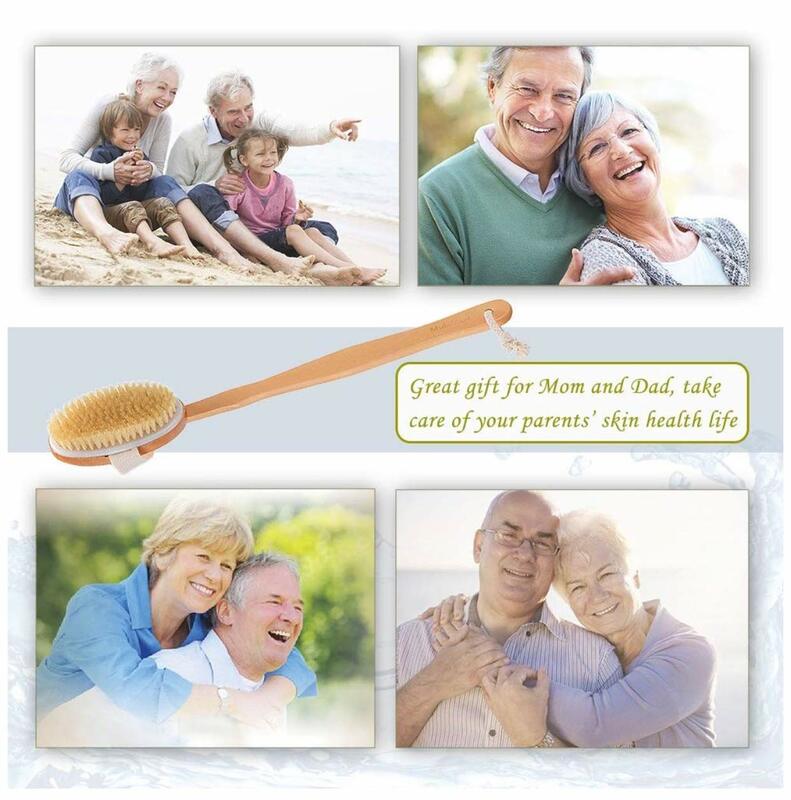 ♈Do you want to have a body brush with long handle for your convenient using and brushing? 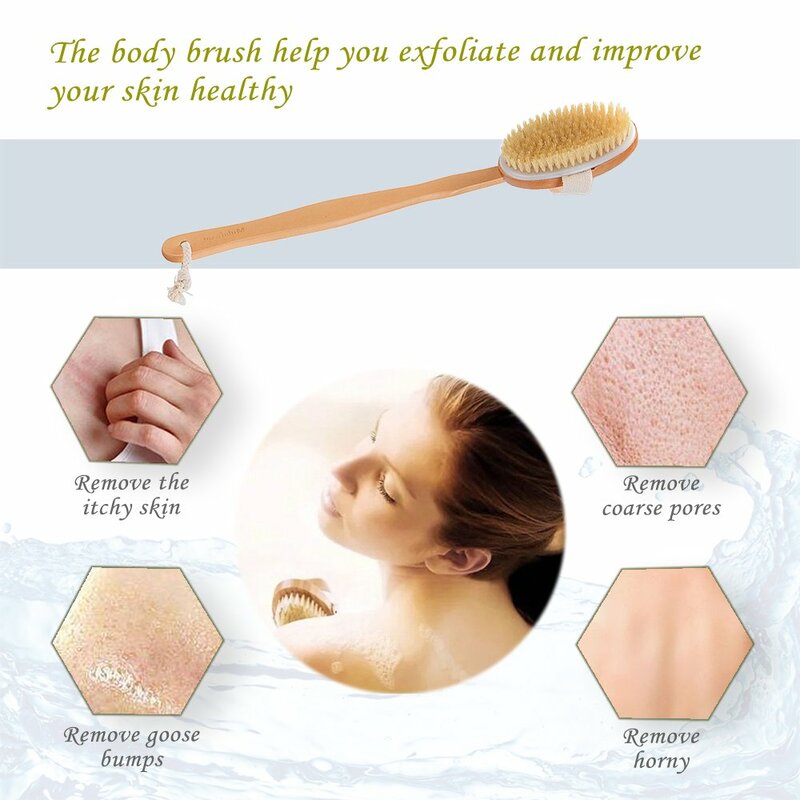 ♈Do you desire to have a multi-function dry brush which can remove your dead skin completely? NO WORRY! NO TROUBLE! 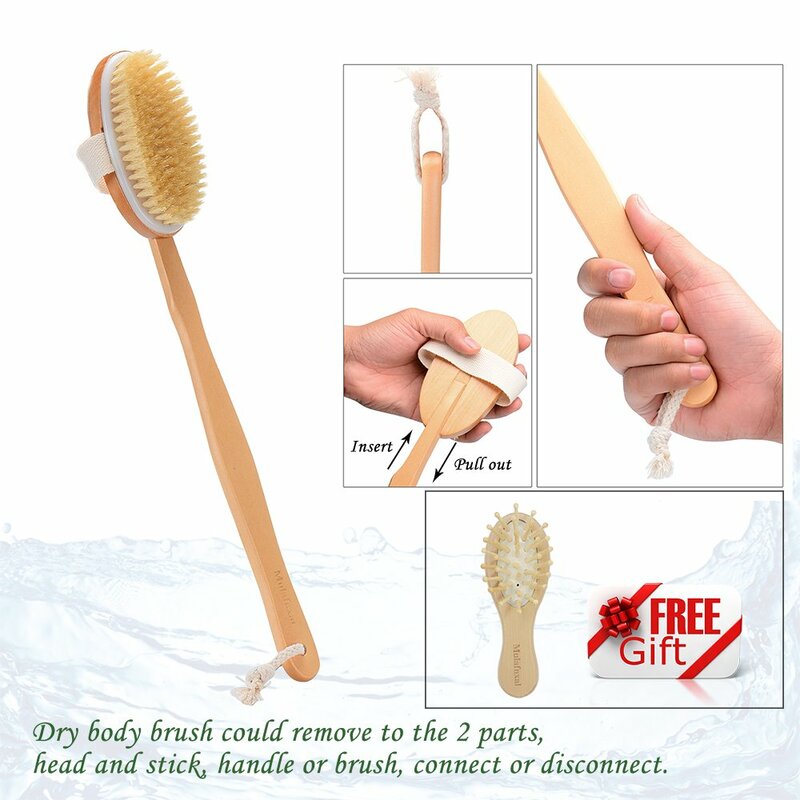 Our dry brushing body brush will give you a perfect answer if you try it. 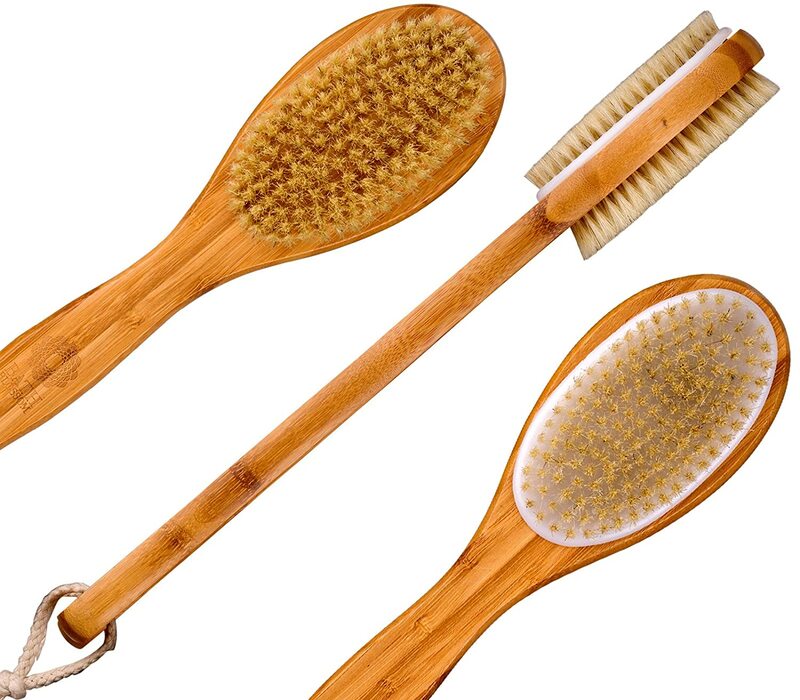 1.Lymphatic Support: Dry brushing the skin regularly helps stimulate the normal lymph flow within the body. 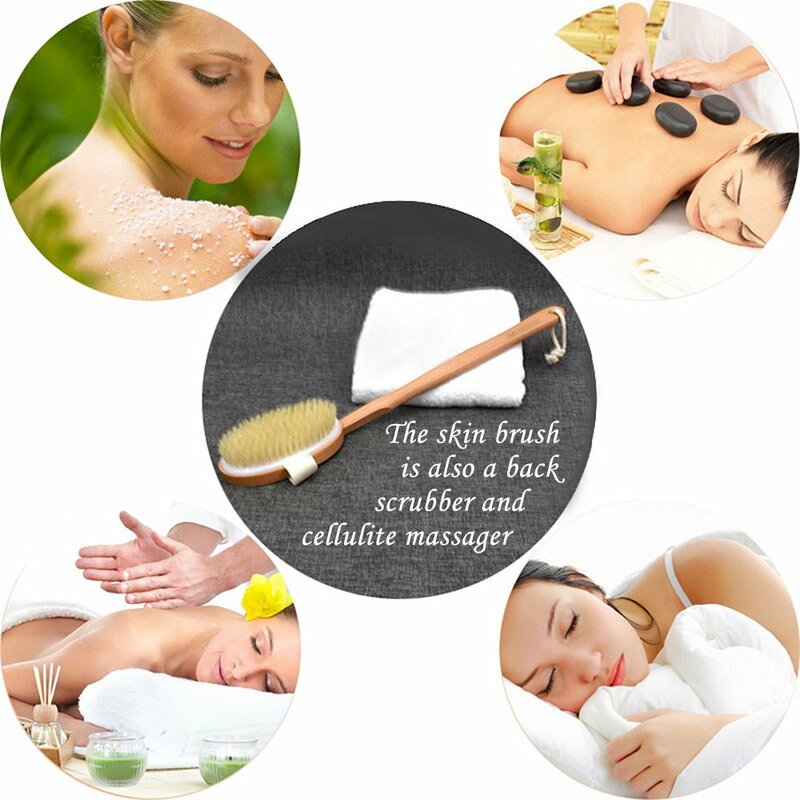 2.Cellulite Reduction: Many people claim that bath brush greatly helped with their cellulite. 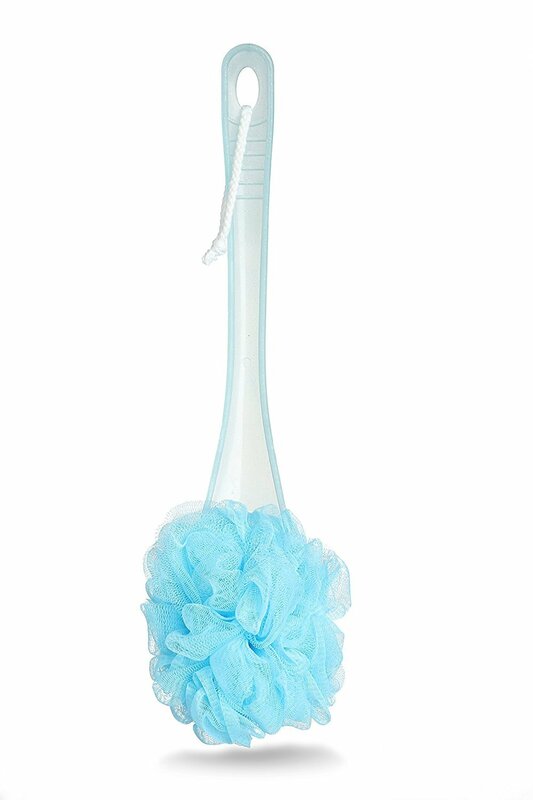 3.Clean Pores: The body brush added benefit of exfoliating the skin, is clearing oil, dirt and residue from the pores. 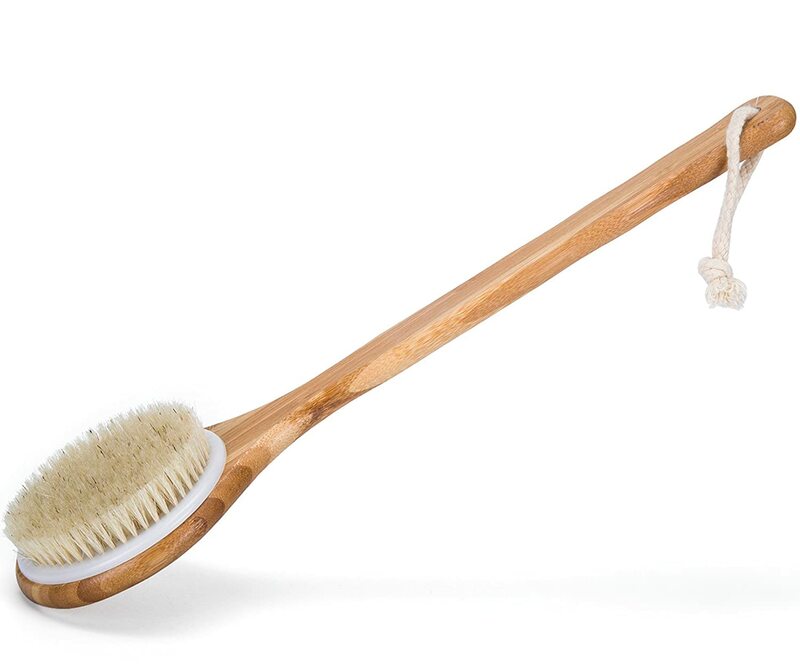 4.Exfoliation: Back brush is one of the simplest and most natural ways to exfoliate skin. 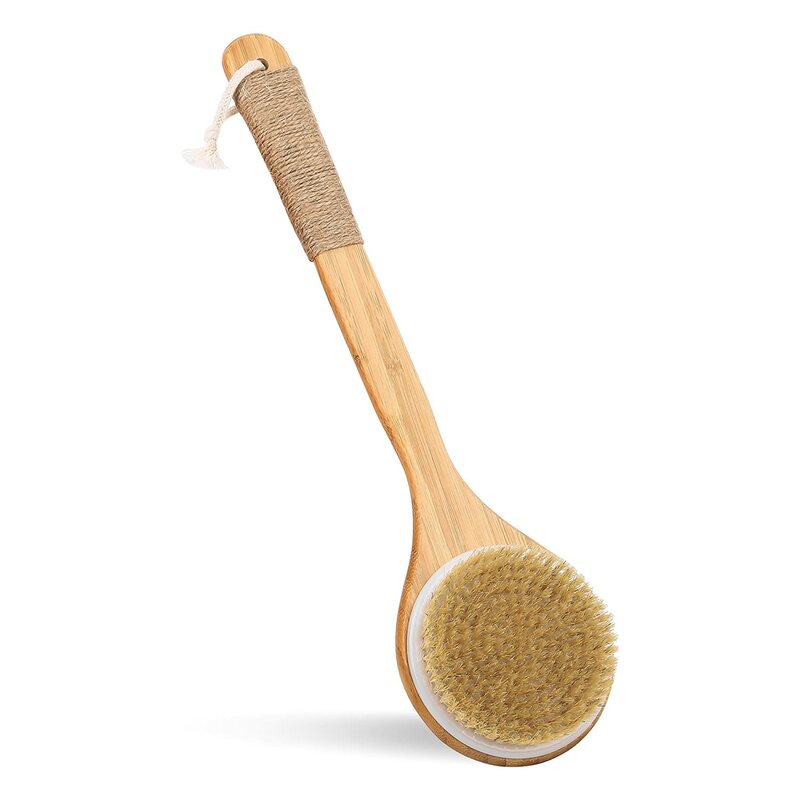 Perfect Gift Our dry brushing body brush makes a perfect gift for anyone wishing to improve the quality of their skin. Not thrilled at all. Bristles were falling out of the brush head as I unpacked it. Not for a u201clarger personu201d. I know the dimensions were given in the product specs but itu2019s still much smaller than I pictured it. The other brush included is a tiny joke. Iu2019m going to toss this item and pay more for a better product. This is truly a u201cyou get what you pay foru201d item. 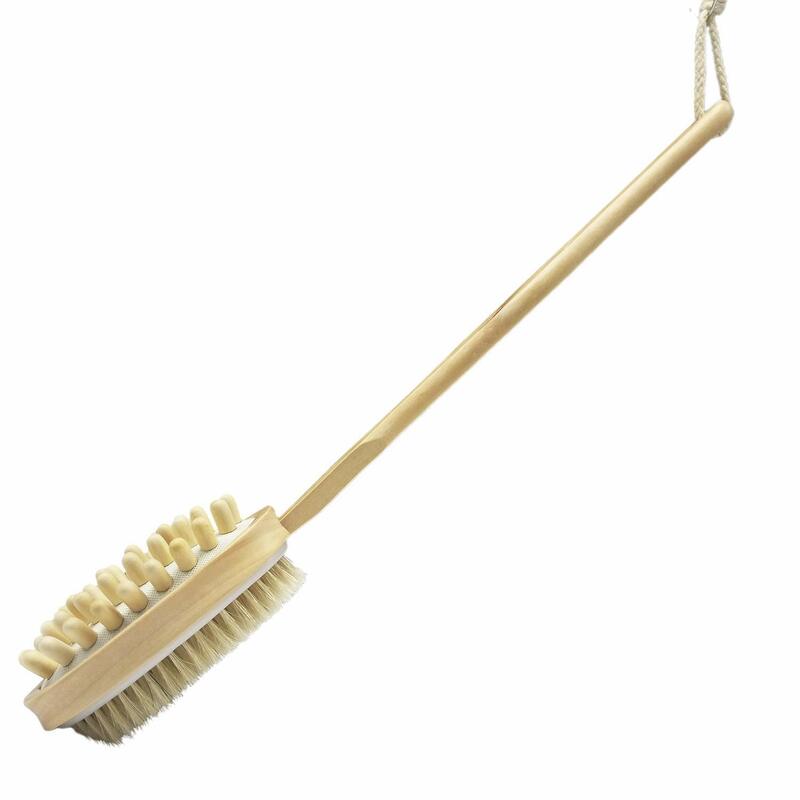 The problem with this brushs and dry brushing, in my view, is if you live in a dry environment, like Arizona, it might cause a problem. It did for me. I got a ring worm infection. Many viruses, bacteria and fungi live on your body, some good and some not so good. 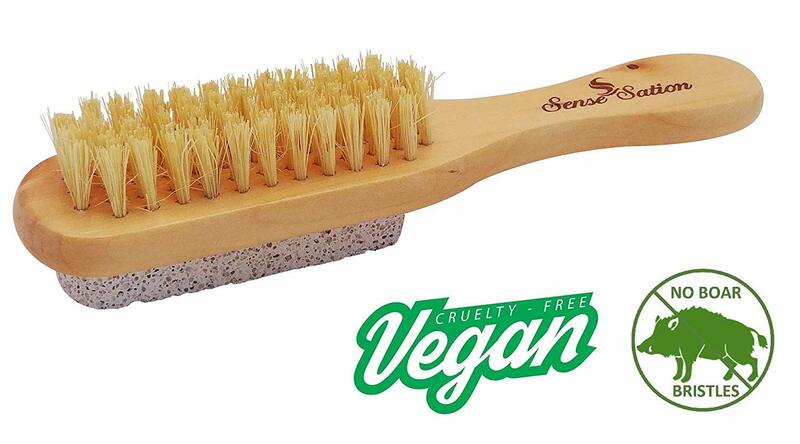 This brush can abrade the skin allowing the bad organisms to enter your system. It did to me. So, I can't recommend using this brush in a dry environment. However, it might work great if you live in a humid place. 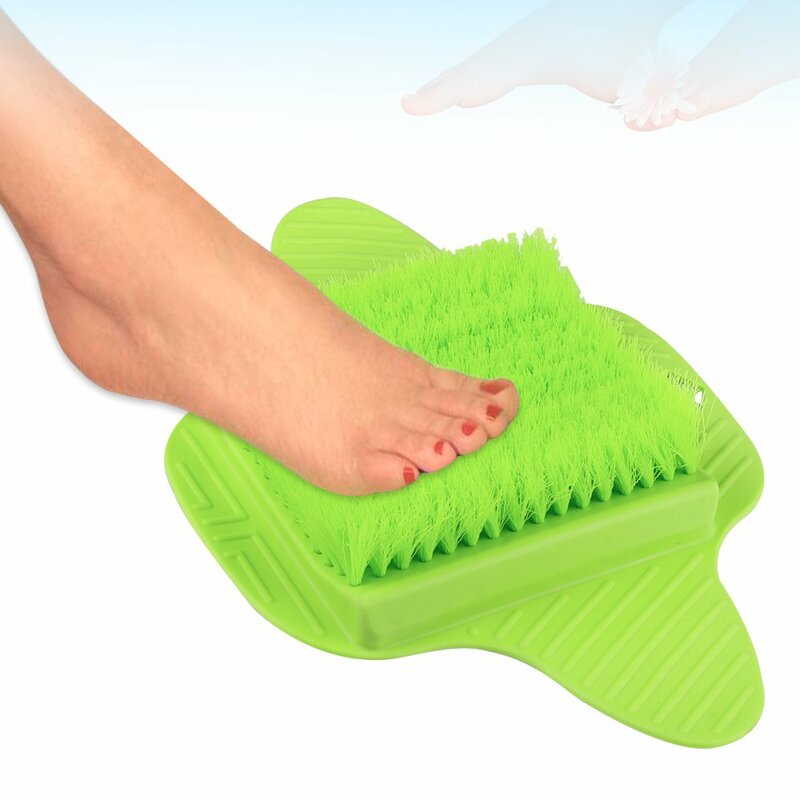 Great price and a sturdy brush. I love that it detaches and can be handheld. I plan to give these out at Christmas! The brush is very nice and itu2019s so comfortable. The design is very unique. I very love it! 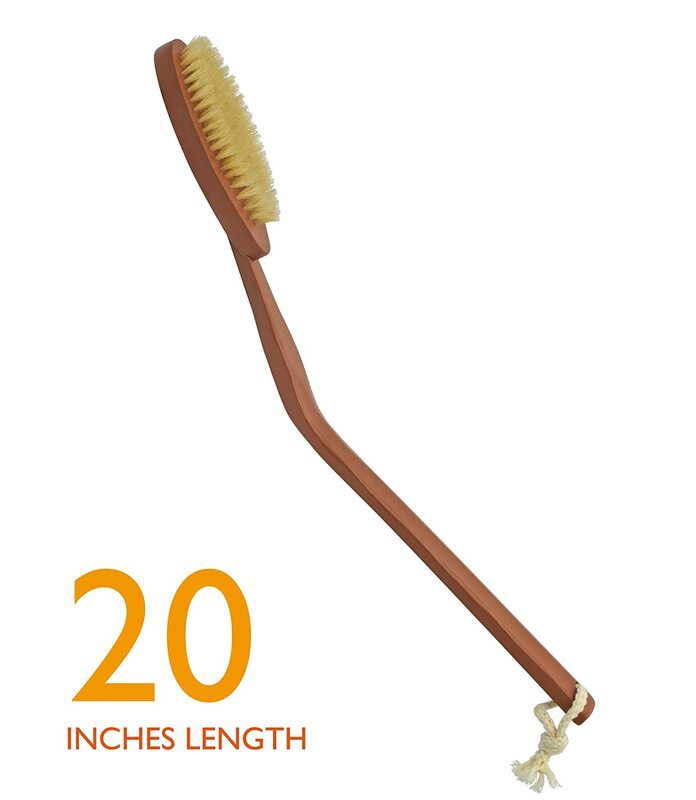 I like the long handle and the fact that the head of the brush separates for the handle. Good quality wood. I would purchase again. 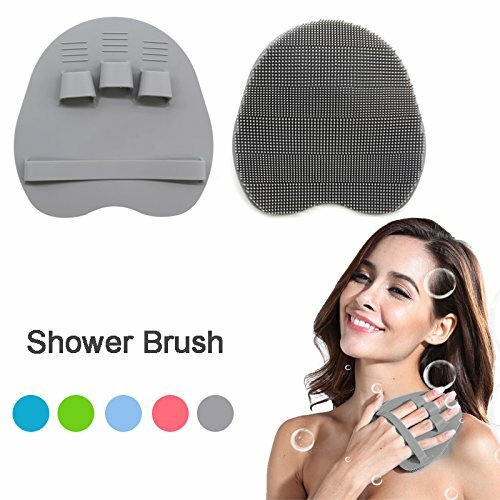 This brush is exactly what I have been looking for that I was not able to find at my local stores. Thank you!